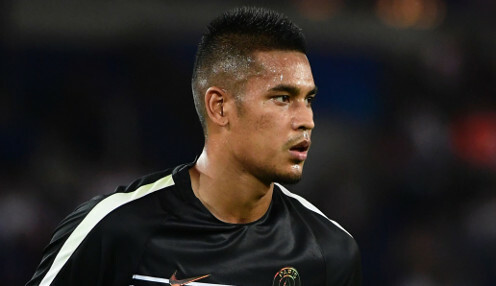 France international Alphonse Areola hopes he can pursue his ambitions with Paris Saint-Germain after signing a new contract the with the Ligue 1 champions. The 25-year-old goalkeeper's new deal with Thomas Tuchel's team is not due to expire until 2023. Areola has started nine Ligue 1 matches for PSG this term despite the arrival of the veteran Italian shot-stopper Gianluigi Buffon, who has started three Champions League matches and seven games in the league so far this season. "It was very important for me to continue my career and my progress at Paris Saint-Germain," said Areola. "This club is not only my trainer, it is also the club of my heart. I grew up here and I discovered the very high level. "My club gives me this chance to pursue very high ambitions, alongside outstanding team-mates. With the continued support of our supporters, we still have wonderful story pages to write together. I believe very strongly in my club and the opportunity to live unforgettable moments." Club president Nasser Al-Khelaifi said of the goalkeeper: "Alphonse is one of the most beautiful symbols of the excellence of our training centre. "His extension is a strong signal of the trust we place and will continue to place in the players we train." PSG are 12121/1 to win the Champions League this season and 21/10 to beat Manchester United at Old Trafford in February.